So, the Auto-Sleeper Corinium FB does definitely fill a gap in the Auto-Sleepers portfolio. 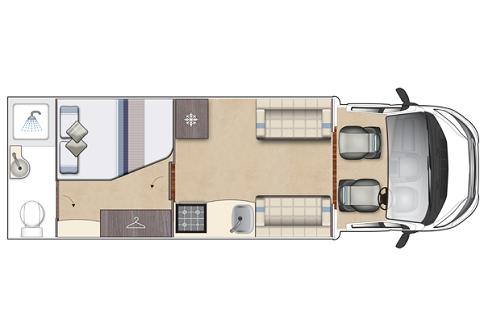 For customers considering the exclusive Mercedes based Burford layout, the Corinium FB offers the same layout but with Peugeot technology and an AL-KO chassis. This option offers several advantages. Hence budget, there is a sizable price advantage in choosing the Corinium. Manual transmission is another advantage as is vehicle weight. The corinium FB can be produced at 3500kg. 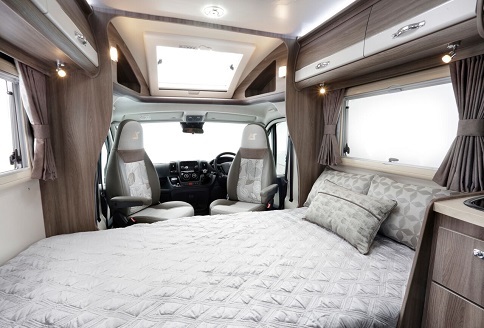 As this layout has become so popular within larger motorhomes, going Peugeot and AL-KO is the natural choice. 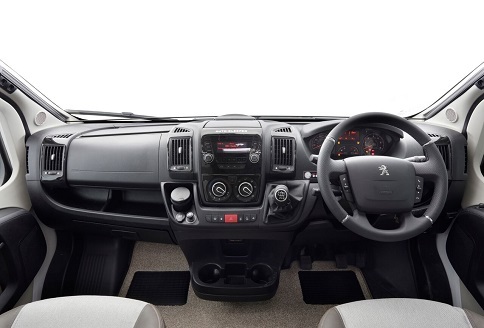 So, with Peugeot’s modern cab and the taught AL KO chassis providing a shore-footed ride, it is a dream to drive. Whilst the Corinium FB handles any corner with ease, the Peugeot driving position and power still get good reviews. The Corinium FB definitely isn’t a poor relation. Premium and Winter packs provide many additional key features, cab air conditioning, cruise control and a solar panel for starters. 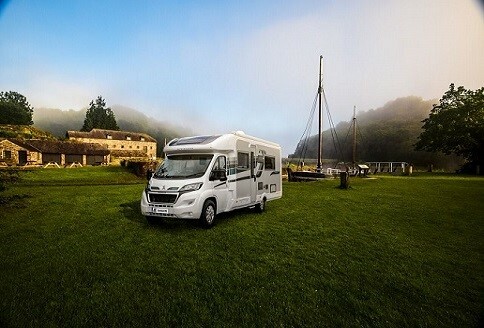 In addition, there’s a large wind-out awning, alloy wheels and a colour reversing camera too. Then there’s cruise control and Peugeot’s in-dash navigation and DAB radio too. Not enough? 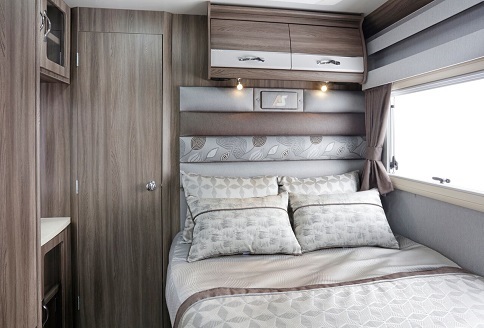 the Winter Pack provides an upgraded heating system, cab blinds, additional wheel arch insulation and electric tank blankets. A media pack is available that offers a 65cm, automatic satellite dish. In fact, the list of standard and optional key-features is almost endless. Also, worth noting is the Bluetooth cab connectivity, electric windows, power steering, air bags, electric and heated mirrors plus seat arm rests. Other key features, for example, are the twin sofas that when pulled together make a transverse double bed. 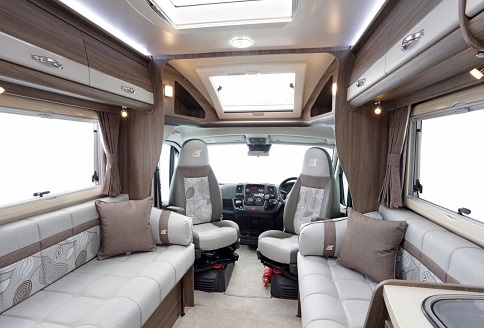 Then there’s the “Skyview” over-cab window and large lounge rooflight too. 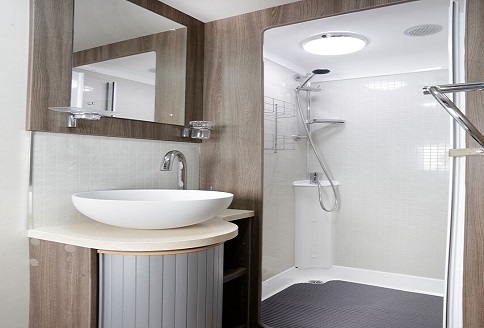 However, the main feature is still the fabulous private bedroom with comfortable single beds and great bathroom off. So, with a double French bed on the nearside and a huge wardrobe and vanity unit on the other, what more is there? 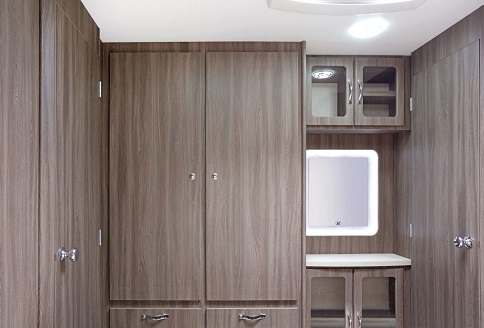 Finally, there are low-level drawers providing an excellent space solution and LED lighting throughout.